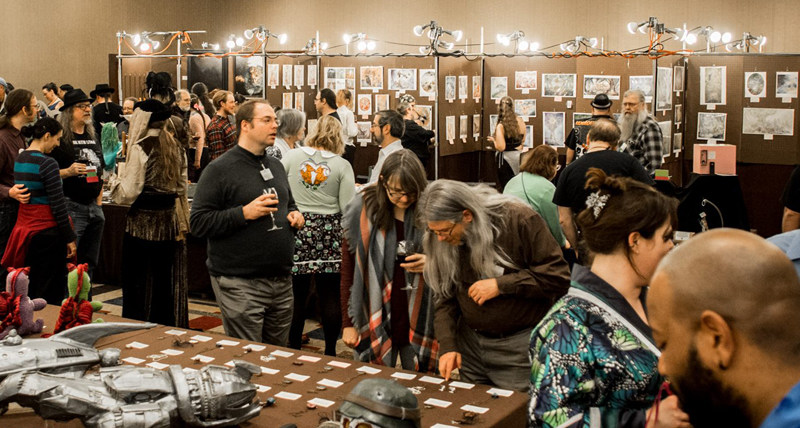 Located in the Georgian room, Arisia's art show will feature work by artists including our Artist Guest of Honor hung salon style on 500 linear feet of portable wall space. Subject matter includes science fiction, fantasy, space, and other speculative subjects, in a wide variety of media. Most work is for sale, and prints are available of many works. The application period for space in the Art Show is over, but we are still accepting waiting list requests. More information about the Art Show, including sales statistics, are available on last year's website.